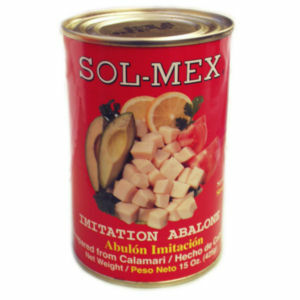 Sol-Mex Imitation Abalone prepared from Calamari is a delicacy used for cocktails, seafood soups, Mexican ceviches and seafood salads. Our serving suggestion offers ideas that include adding sliced avocados, sliced tomatoes, cilantro, parsley, lemon. Delicious!